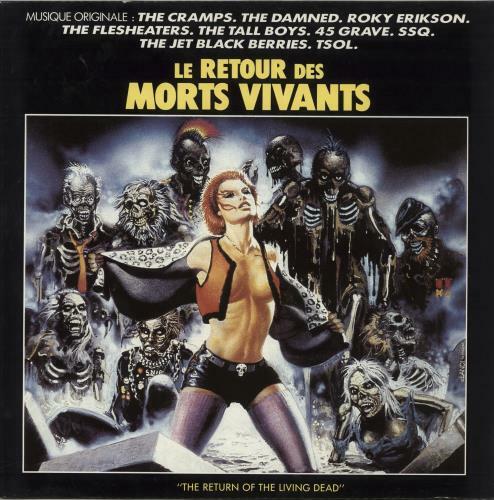 ORIGINAL SOUNDTRACK Le Retour Des Morts Vivants (1985 French 10-track LP, featuring music from the soundtrack to the zombie comedy, The Return Of The Living Dead. This is a superb condition copy & it's a superb punk-psychobilly selection too courtesy of The Flesheaters, The Damned, The Cramps & more! 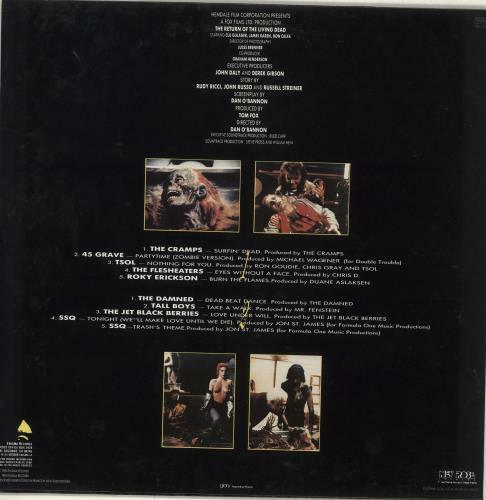 The picture sleeve shows very little of its age or origin & the vinyl appears near mint).